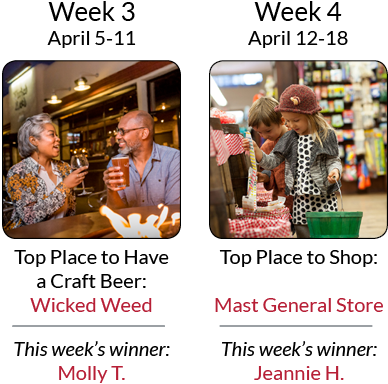 This contest has now closed. 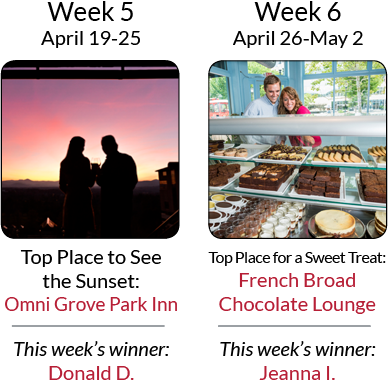 Stay tuned to find out who won the Ultimate Asheville Getaway! What’s your favorite outdoor adventure in the Asheville area? Your favorite restaurant? Your favorite place to satisfy your sweet tooth? 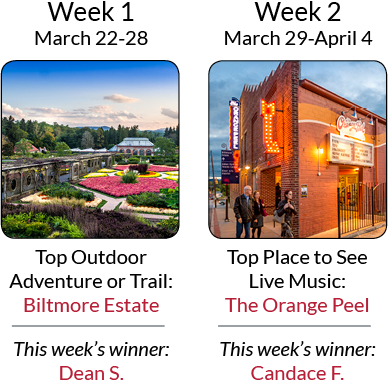 For the past eight weeks, we&apos;ve asked fans to share their favorite Asheville-area experiences for a chance to win the ultimate Asheville experience! 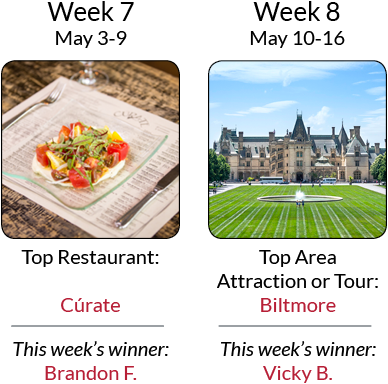 Thank you to everyone who entered and nominated your favorite things to see, do, eat, and drink around Asheville! Read the official contest rules here. The Ultimate Getaway Winner is Krystine G. from Pennsylvania. Asheville has so many things to do, from outdoors to dining, and live music to craft beer. We want to hear about all of your favorites!